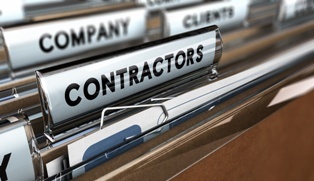 Do Independent Contractors Have Any Rights To Workers’ Compensation Benefits? | Pothitakis Law Firm, P.C. Do Independent Contractors Have Any Rights To Workers’ Compensation Benefits? Typically, independent contractors in Iowa are not viewed as employees under the law, and employers are not required to provide them with the same medical care and wage replacement benefits afforded to other employees who suffer on-the-job injuries. For many independent contractors, an injury can have devastating effects on their personal, employment, and financial lives. The medical bills and lost wages can create both physical pain and financial burdens. The benefits provided by workers’ compensation can be critical in maintaining health and stability. Fortunately, independent contractors do have rights that can be protected, regardless of what an employer or their insurance company may claim. Who controls how and when the worker does his job? How are the business elements of the job handled?—how the worker is paid, if expenses are reimbursed, whose tools and supplies are used. Do the worker and employer have a written contract? Is the worker offered company benefits? Will the relationship between the worker and the employer be ongoing? The answers to these questions can be very helpful in determining what type of worker you are. However, the IRS states that there is no “magic” formula; every case is unique, and each decision should be based on the specific circumstances of the relationship in question. It is illegal, however, to misclassify a worker, and employers who do so can be held accountable. They can face fines, interest on back taxes, and even criminal charges in certain cases. Importantly, they can be compelled to provide standard employee benefits, including workers’ compensation to employees incorrectly labeled independent contractors. If you have suffered a work-related injury, you may be concerned about your eligibility for workers’ compensation benefits, especially if the company paying for your work claims you are an independent contractor. Fortunately, it is possible to dispute your status. Iowa Workforce Development operates a misclassification unit that investigates these cases. It can be possible to obtain medical care and wage replacement benefits successfully. The experienced attorneys at Pothitakis Law Firm have helped many injured workers fight for the compensation they deserved, and they may be able to help you, too. Learn more about who we are and how we may be able to help by calling our Iowa office. You will speak with a member of our legal team and schedule a free, no-obligation consultation. I’ve Been Injured at Work—What Now? Previous PostPrevious How Does Filing A Workers’ Compensation Claim Work? Next PostNext What Workers’ Compensation Benefits Are Available If I Suffer A Permanent Injury?